NATO’s further effort and support to Afghan defense and security forces is a need; in the meantime, training and enhancement of capabilities of ANDSF in particular Afghan special and air forces are in top priorities of NATO as it is the best option for counter terrorism in Afghanistan. On Monday, NATO secretary general Jens Stoltenberg said that the alliance and its allied partners must ensure that Afghanistan never again becomes a safe haven for international terrorists. Speaking at a pre-ministerial meeting in NATO headquarters, Stoltenberg stated that the challenge still remain great in Afghanistan, adding that the cost of leaving is bigger than the cost of staying. “We must continue to ensure that the country never again becomes a safe haven for international terrorists. 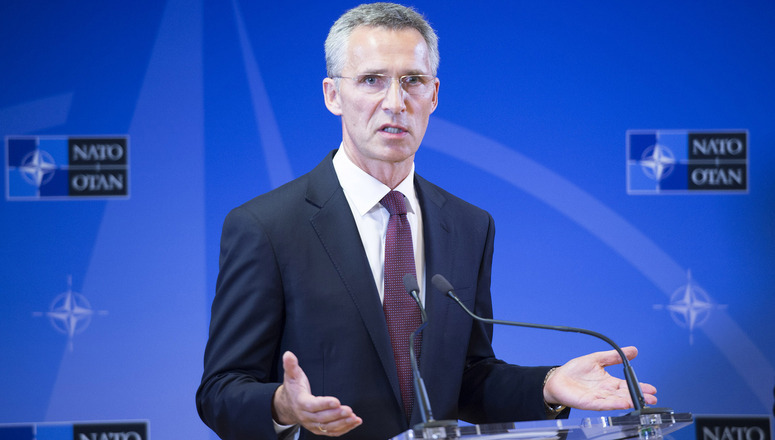 Over the past months, we have stepped up our support – with more forces and funding, because the cost of leaving is bigger than the cost of staying,” said Stoltenberg. In a question about the importance of the NATO presence in Afghanistan, NATO chief said: “It is important for NATO to keep its presence in Afghanistan, because we have to prevent Afghanistan from once again becoming a platform, to plan to organize, to execute terrorist attacks against our own countries… There is high cost of staying in Afghanistan, there is high financial cost for NATO allies and there is a high human cost. We have had fatalities also in the past weeks, but we have to compare the cost of staying with the cost of leaving. “If NATO and NATO allies leave Afghanistan, we have to be prepared there is a high risk that the Taliban will come back, and the different terrorist organizations will be able to gain ground and establish strong footholds in Afghanistan. For instance, we know that al-Qaeda is there, we know that ISIS (Daesh) is there. So this is about helping Afghanistan, but it’s also about helping ourselves. The NATO Ministerial meeting will conclude with a meeting of all nations contributing to the Resolute Support training mission in Afghanistan. The issue of Afghanistan is still in top priorities of NATO member countries as NATO has pledged in the organization’s various summits that it is committed to continued support to Afghanistan government in counter terrorism. Afghan political and military experts believe that NATO’s continued support from Afghanistan can have considerable impact on peace efforts in the country. NATO General Secretary’s remarks come amid increasing of peace efforts by both the US and Afghanistan as President Mohammad Ashraf Ghani presented the country’s new roadmap for peace talks with the Taliban group last week in Geneva summit. In the respective roadmap, Afghanistan government has stressed that the peace process would have five phases starting with an intra-Afghan dialogue, followed by discussions with Pakistan and the United States, then regional actors, China and India and the Arab Islamic world including Indonesia, and finally NATO and non-NATO countries.